Portland Community College and Portland State University are hosting Mónica Mayer, a Mexican feminist artist and activist, for the annual Portland Women in Art Lecture Series. Mayer will give a public lecture and host an art exhibition as part of the seventh annual Portland Women in Art Lecture Series (PWALS). The goal of PWALS is to present important women in the visual arts to the students and faculty of PCC and PSU, as well as to Portland audiences. It focuses on pioneering feminist artists and younger women significant in the fields of art and art history. 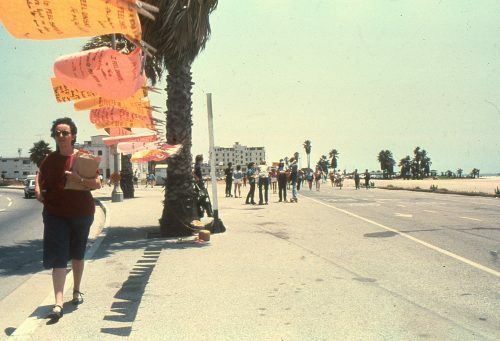 Mónica Mayer, ‘El Tendedero’ (‘The Clothesline’), Los Angeles, 1979. Photo by Víctor Lerma. The artist will speak at Portland State University at 7 p.m., Wednesday, Nov. 7, in the Lincoln Recital Hall (LH75), 1620 S. Park Ave. Admission is free and the public is welcome. The lecture “Translocal Translations, Feminist Art in Contemporary Mexico (Traducciones translocales, Arte feminista en el México contemporáneo)” will be in English. “I’m very excited to be in Portland for the first time, working with some of my favorite art audiences: college students and young kids,” Mayer said. 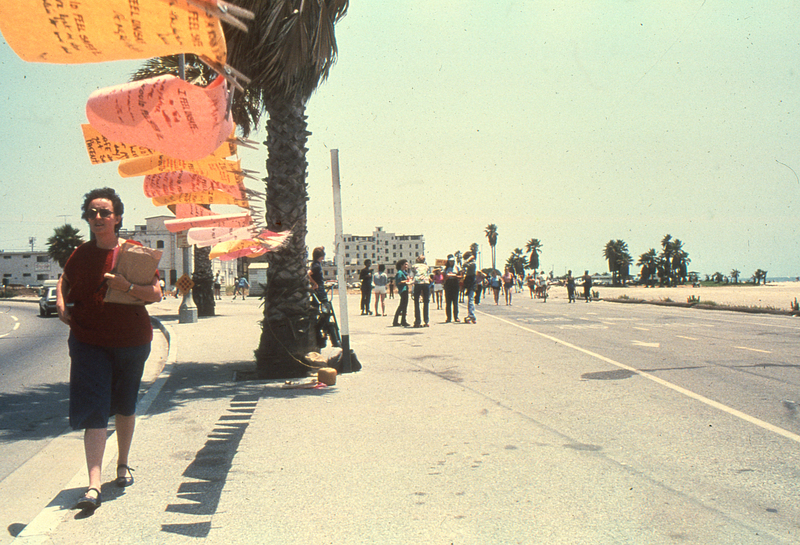 Her exhibition “Mónica Mayer: Translocal Translations, 1978 – 2018” features work from the past four decades, including video, photography, and archives of her performance art and social practices. Visitors will be able to engage in cultural critique through interactive activities in the gallery. Mayer will lead a walk-through of the exhibition at 5:30 p.m., Thursday, Nov. 8, in the Paragon Gallery, Cascade Campus (705 N. Killingsworth St.). The gallery will be open noon to 7 p.m., Wednesdays through Fridays and noon to 5 p.m., on Saturdays for viewing of her exhibit, which runs from Nov. 7 to Dec. 15. Gallery materials will be in English and in Spanish, and a bilingual catalogue will be produced documenting the exhibition and artist events. PWALS receives funding from Regional Arts and Culture Council, Portland Community College and Portland State University. Lincoln Recital Hall (LH75) at Portland State University is ADA accessible. For other accommodations, contact the Disability Resource Center (drcterp@pdx.edu or 503-725-6504) by Wednesday, Oct. 31. Thank you James for posting about our visiting artist next week! PWALS is a wonderful collaboration by faculty and staff across the PCC district and PSU to bring world renown artists and art professionals to the community and to our students. To learn more about our history and the artists, curators, and art historians we have hosted you can visit /www.pcc.edu/about/events/women-in-art/about.html.